Physical evidence was collected first from the crime scene in Leakin Park where Hae Min Lee was found, her clothing, and later from inside her car. Search and Seizure warrants were obtained, allowing police to collect evidence from Adnan’s car and his family home. Blood and hair samples from both Adnan Syed and Jay Wilds as well as various bodily samples taken from Hae during the autopsy. 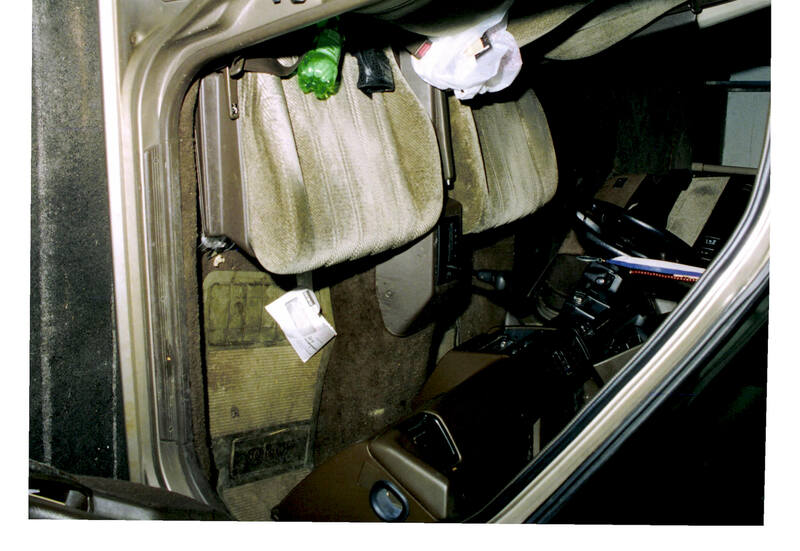 Other evidence collected includes the windscreen wiper arm (also from Hae’s car but retrieved weeks later), and Adnan’s coat. What Written Evidence is there about the Physical Evidence? 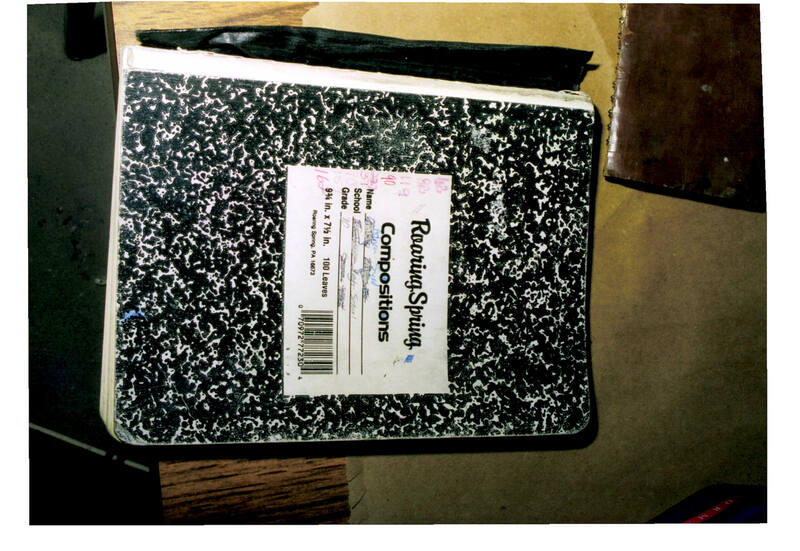 Most of the written evidence here comes from the Police Department files. The “Laboratory Division Mobile Unit Fingerprint Report”s are very valuable here, despite the name they are used for a lot more than just fingerprints. It is the all-purpose form used by the Baltimore City Police Department (BPD) Mobile Crime Lab technicians. The Crime Lab’s role was to take prints, record the crime scene, and recover and document other evidence. “Fingerprint Report” is just the title on the pre-printed form they use to record all that information, and to describe any photographs they took. 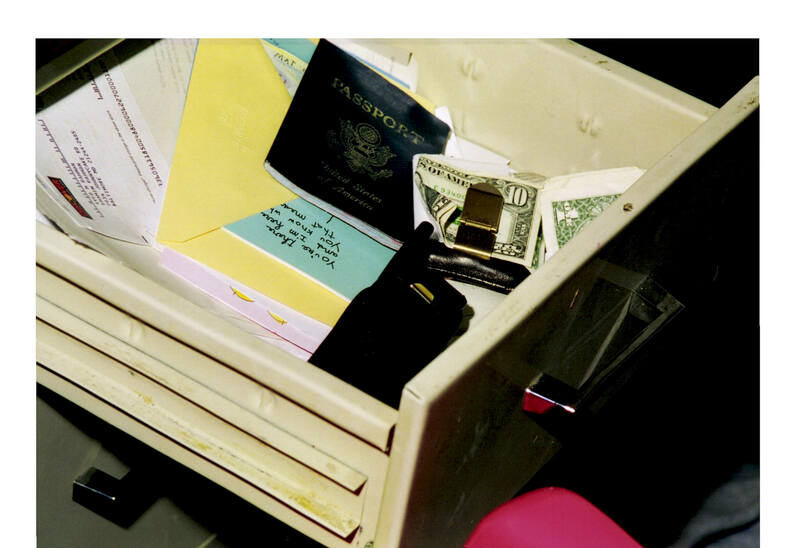 Various other types of document are useful, including the detective’s progress reports, photographs, medical examiner and hospital records, returns from the “Search and Seizure Warrants” returns and Evidence Control Unit records. But what happened to the evidence next? Well, most of it was submitted to Evidence Control, and sometimes that’s all that happened. Other evidence was tested, by the BPD lab teams, or for the DNA testing, the Maryland State Police labs. All the test requests and most of the results are included on this page (and highlighted in bold). Some test results were not present in the MPIA response from the Police, mostly this happens when the the tests were mentioned during trial. Instead of a written report (which would have to be declared to the defense as part of discovery) we only have the trial testimony of the technicians or scientists who did the tests, or sometimes their colleagues. Gutierrez defense team’s review of evidence 11/12/99 Incomplete but this often contains more detail about the actual items than the BPD records do. E.g. 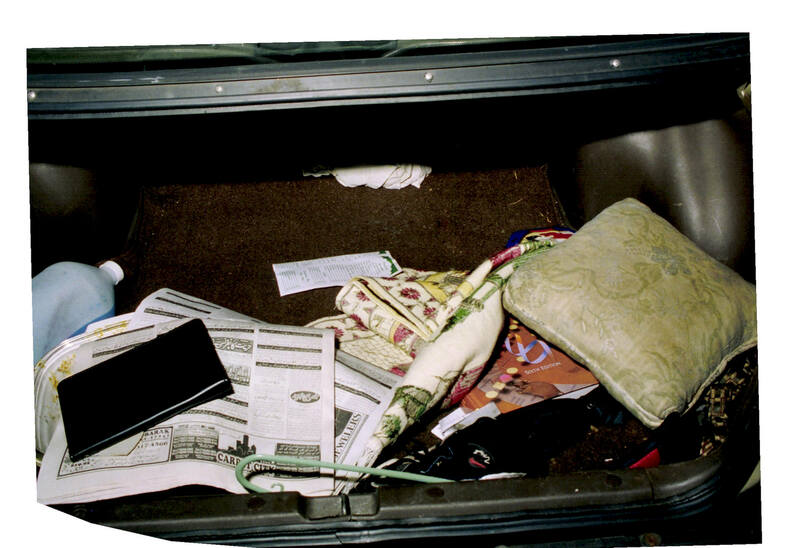 the BPD broad description “Items from Back Seat” is here described item by item,it includes Hae Min Lee’s purse and even tells us about her perfume brand. 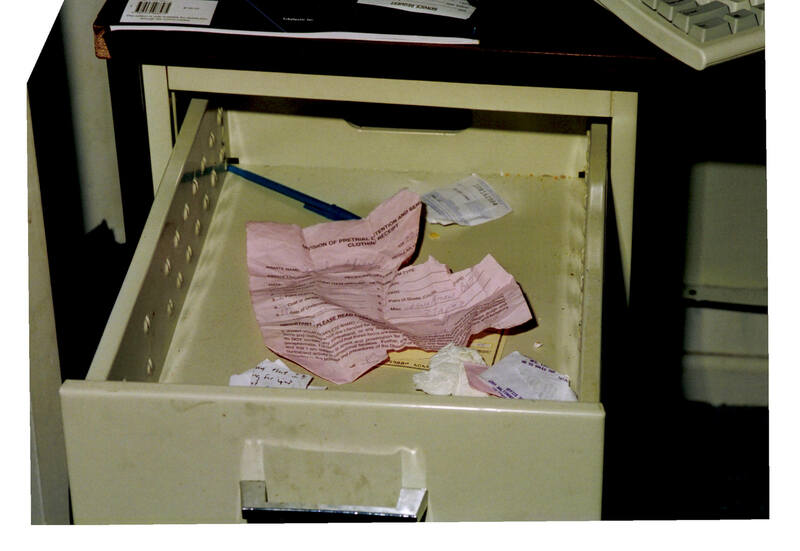 Laboratory Division Mobile Unit (Fingerprint) Report 2/9/99 – Physical evidence recovered from Leakin Park crime scene and brief description of 96 photos taken. Link to Google maps location on N Franklintown Road – in satellite view the concrete blocks which mark the position of the 1999 parking place are visible. The parking place no longer exists, as a bicycle path was built alongside that stretch of road in the mid 2000’s, but the blocks are still there, and some wooden boundary posts can even still be seen. Photos: Serial distributed four to the media as publicity shots, and Undisclosed retrieved five more from the court archive. These photos are mostly of views from N Franklintown Road, and none of them feature Hae Min Lee in any way. 87 other photos were taken but have been withheld for the sake of Hae’s family. 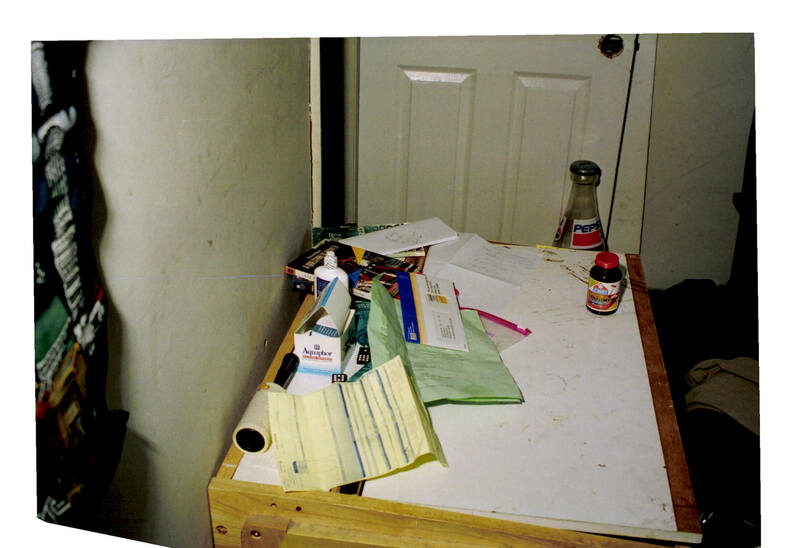 Laboratory Division Mobile Unit (Fingerprint) Report 3/25/99 – photographed Hae’s clothing. 9 photos, not available. Laboratory Report Fibers 6/1/99 – no match between fibers from Hae’s clothing and car and fibers from Adnan’s clothing, car and shoes. Hae’s car was a silver 5-door, 1998 Nissan Sentra GxE – tag FSV 645. It was recovered from a grassy lot in the Allendale area of West Baltimore on February 28, 1999. It was not processed immediately, but towed to BPD Headquarters on E Fayette St, downtown, and released to the Lee family in March. 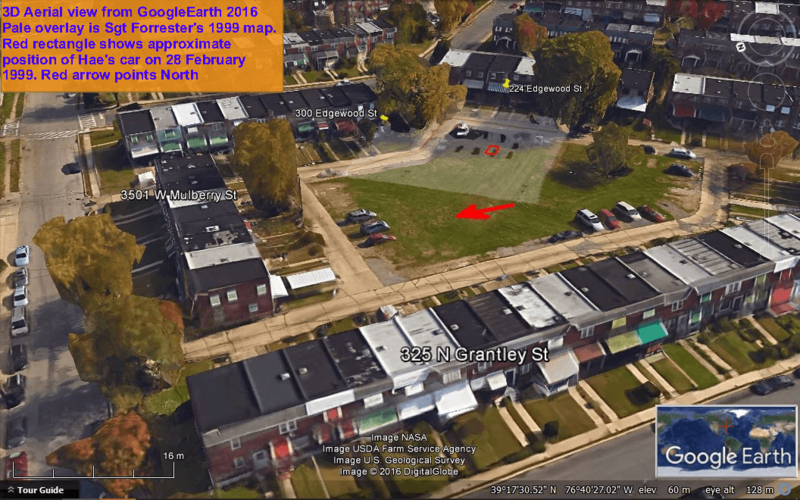 (Lot bordered by Edgewood St, N Grantley St, W Lexington and W Mulberry St) A 3D visualisation of where Hae’s car was found based on police sketch and alignments visible in photos, plus Google Earth 3D. Laboratory Division Mobile Unit (Fingerprint) Report 2/28/99 – four photos taken of Hae’s car, no collection or testing took place. 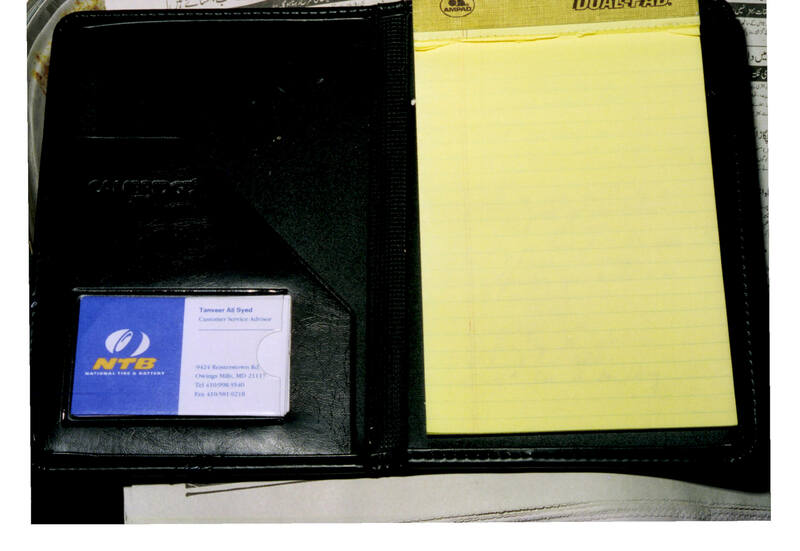 Laboratory Division Mobile Unit and Fingerprint Report 2/28/99. Latent prints, items collected into evidence and description of 40 photographs taken. 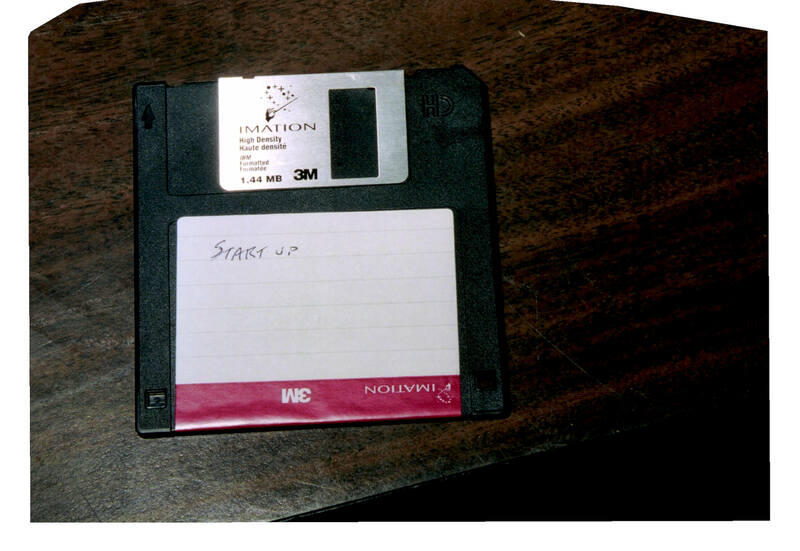 10 of those photos have been recovered from the court archives by Undisclosed. 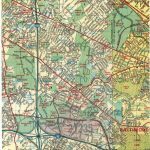 Map with torn out page – Inventory Sheet, Chain of Custody, photos of back seat where Map and page found available, photo of map book and torn page taken during car search (map open at Atkisson Reservoir Bel Air, torn page shows Woodlawn High and Hae’s home). Another closer photo of torn page used at trial. 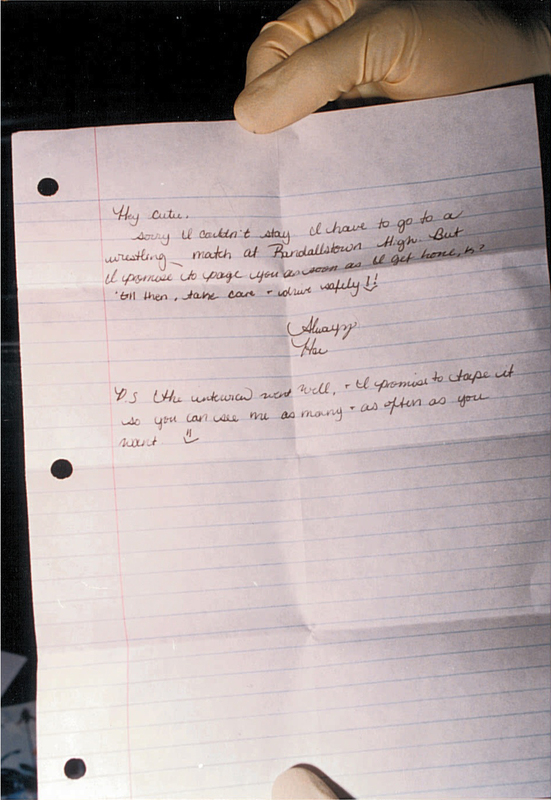 Towing and Release Information form (p3) – Car released to Young Lee on 3/7/1999. 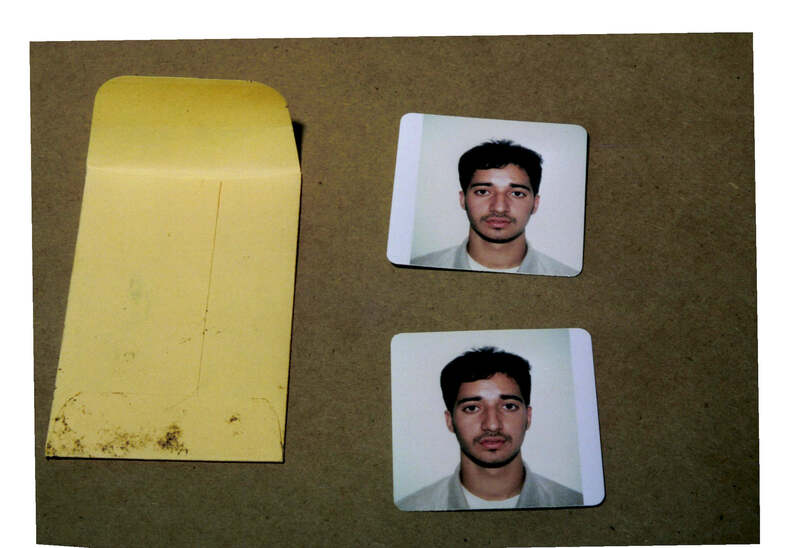 There are no records of the car’s whereabouts between processing on 2/28 and 3/7 (release to family), it may have stayed in the Vehicle Processing section, or been transported to the City Lot, as Adnan’s car was. Video made nine days after the car was released by police to Hae’s family. There are no police reports describing either the visit or the video being registered to Evidence Control (there are such records for several interview tapes). Sgt Forrest later described this trip (made with Det Hastings) during his testimony at trial. There are no contemporary police reports noting if this item came from Hae’s Nissan, or how it came into Det Ritz’s possession. 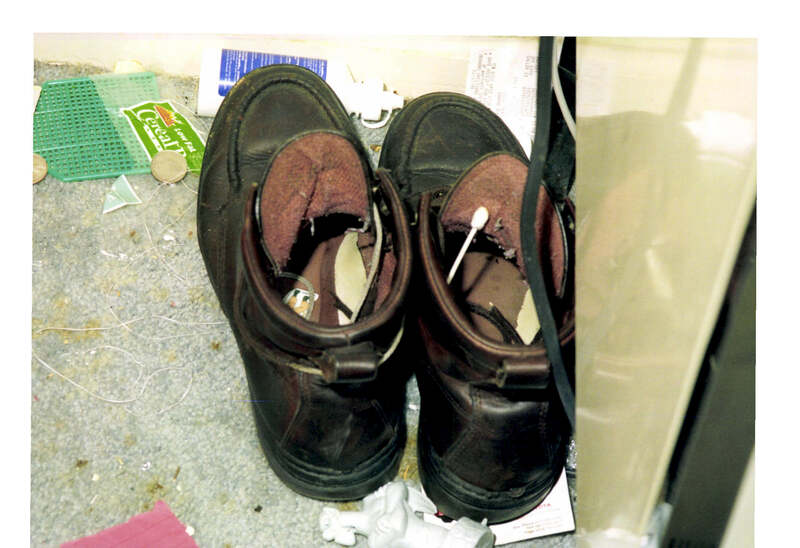 Homicide Unit, 6th floor, BPD Headquarters, 601 E Fayette St.
Progress Report – Disparity in dates, this report (written 4/20) states blood collection date was 4/19/99, while all other evidence suggests 4/13. Tow Receipt 2/28/99 – Cherry Hill Towing “Police Unit 228” record of $60 charge to “tow form [sic] Baltimore County HQ” [not City], origin not given. 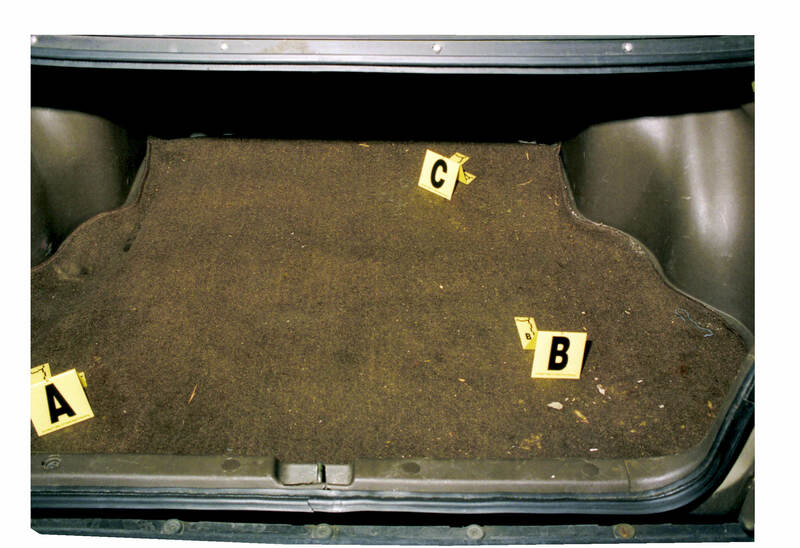 Vehicle Processing Report – Describes processing requested for Adnan Syed’s car, body believed to have been in trunk. Report dated 3/9/99, but recovery date noted as 2/28/1999. Note that 2/28/99 is the same day that Hae’s car was recovered and Adnan was arrested. This Progress Report notes the decision to seize the car was made on 3/3 and all other (dated) paperwork (below) related to the search is dated 3/9/99. This date could be a coincidence, a mistake which was copied from receipt to the report, or perhaps County PD seized the car on the day of Adnan’s arrest (without a warrant?) and only transferred the car to City PD on 3/9/99, and all the other paperwork has gone missing, or maybe something else. Some ambiguity in the paperwork about the “notebook” in Evidence. 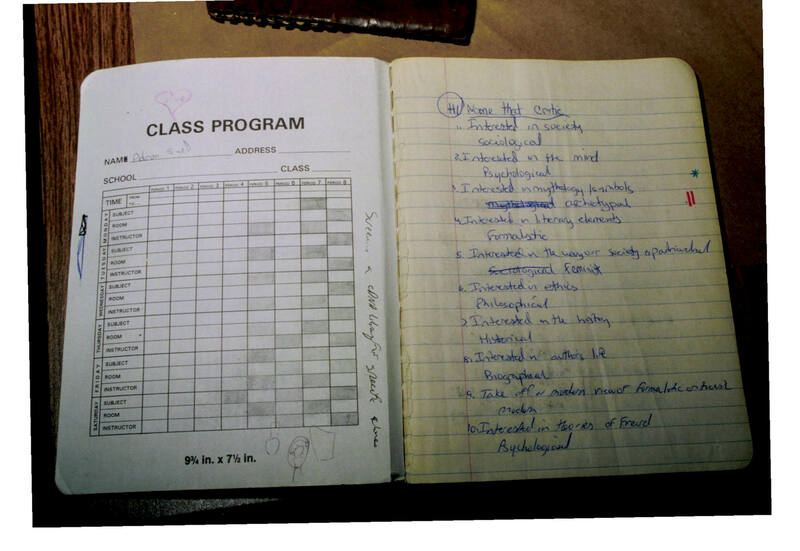 This could mean either Tanveer’s work folio (photographed but barely relevant) or Adnan’s “Compositions” notebook (also photographed, contains an academic year planner) and was either found in the glove compartment or trunk, depending which paperwork you believe. 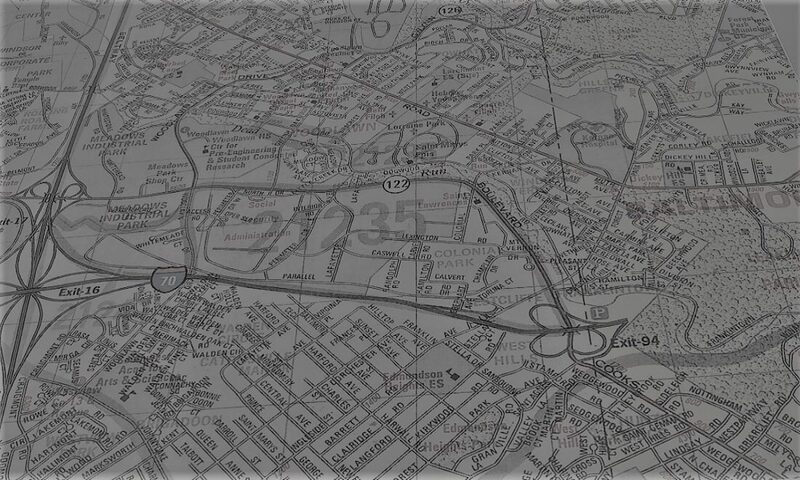 Vehicle Report Form 83/5 3/10/1999 – records Adnan’s car being towed by “Franford” from E Lafayette St to “City Yard” the day after being processed for evidence. Head liner swatch, front seat swatch, carpet swatch, vacuum sample from front seat – Inventory Sheet, Chain of Custody. Certain photos taken during from this search have not been added for privacy reasons. 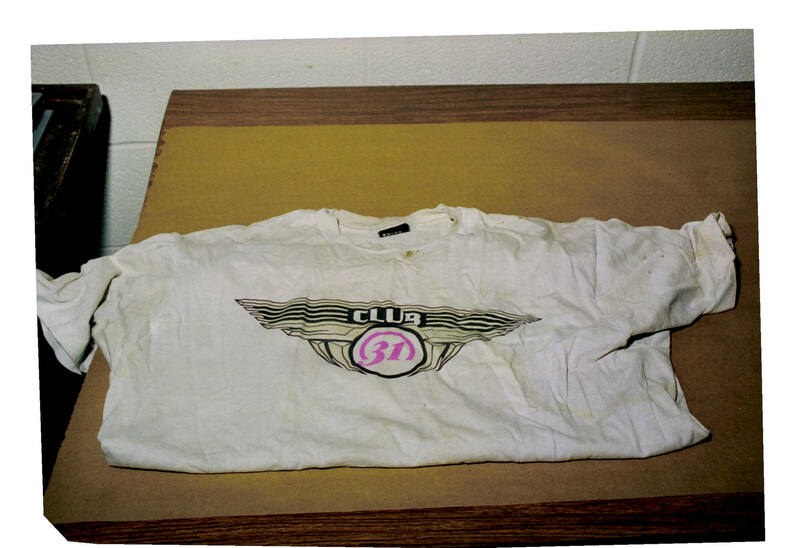 Also some photos were described in the Mobile Lab report but were not present in the police file, including close ups of the shirt, pants and torn paper all found in the basement. 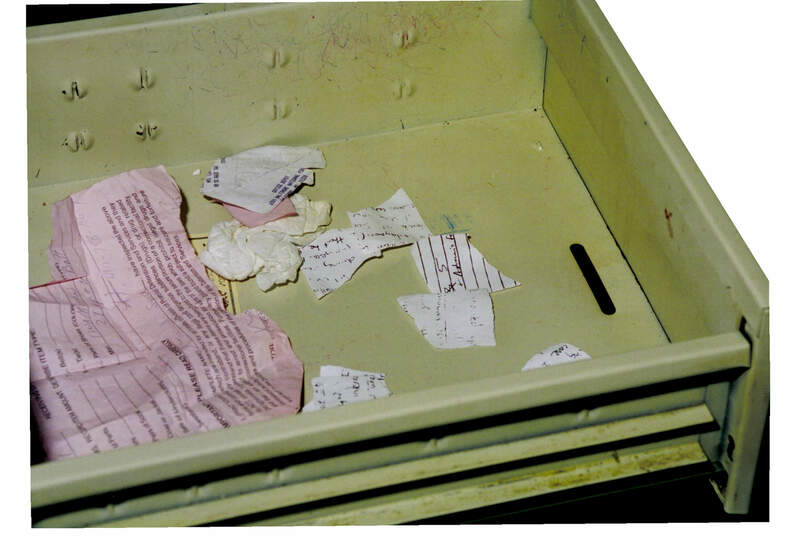 Laboratory Division Mobile Unit Fingerprint Report 3/26/99 – Record of physical evidence recovered from Adnan’s home, written six days after the search, noting another item was recovered and submitted into evidence, without explanation. 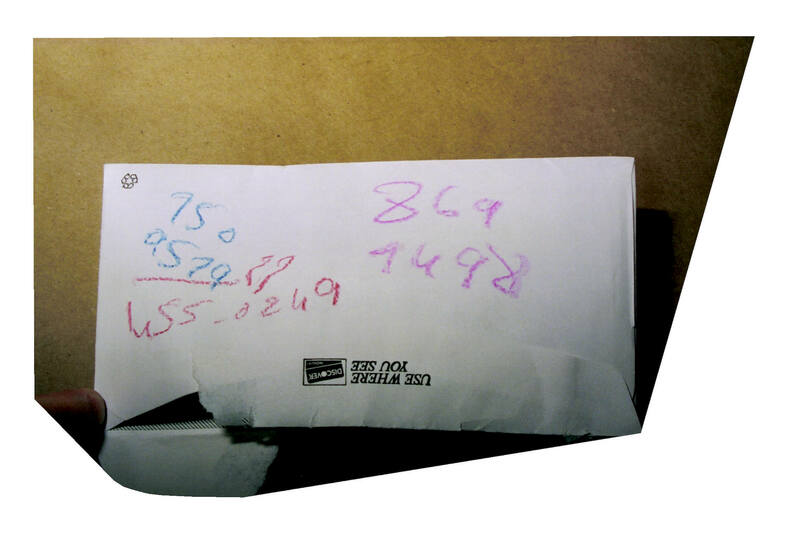 Unsigned although handwriting is similar to Emanuel Obot, the Lab Tech who documented the original search. Lint roller – Photo1, Photo2, Inventory Sheet corrected. 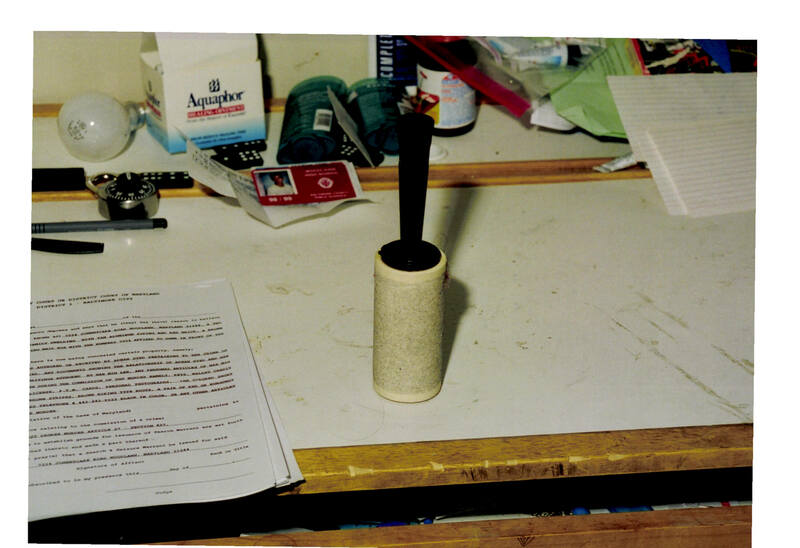 Despite this correction, the lint roller does not appear on any subsequent records for that AC#, either Chain of Custody records or either set of Evidence Control Sheets.